Ok so my T&E Mag release came in. I installed it this morning. Here is a comparison. 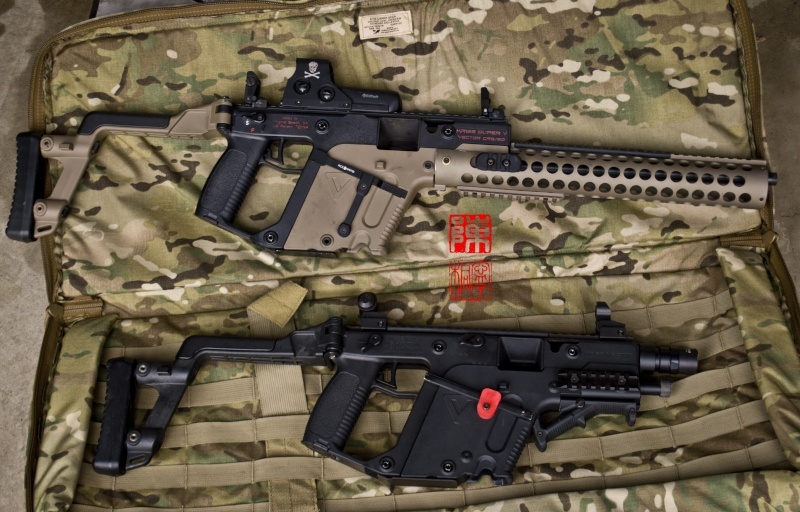 Ace 1 Arms on my Vector Carbine and my prototype MagLev on my KWA Airsoft Vector SMG. Here is the installation video I made. Some things to take notice from the installation. 1. 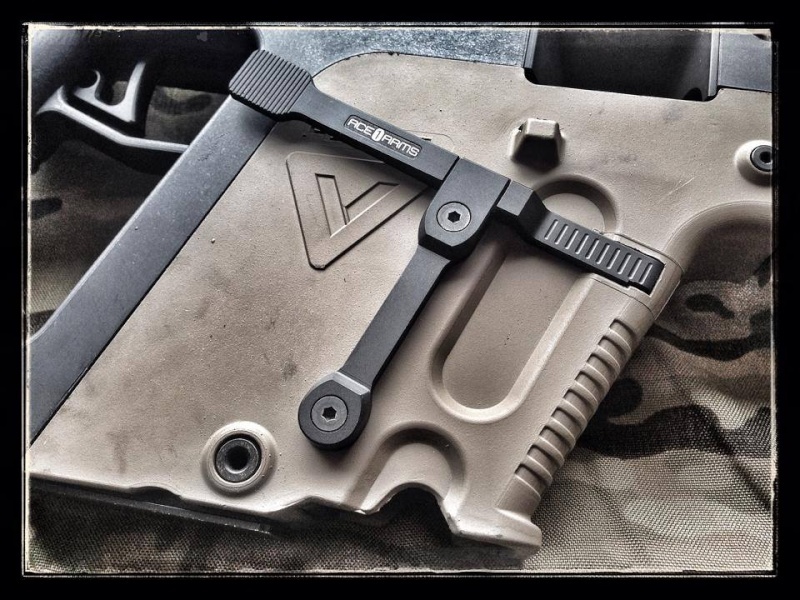 The Ace 1 Arms mag catch can over travel but with the captive plate installed, I don't think that is a problem. I told Ace 1 Arms about the original mag catch design and that it has a ridge to prevent over travel. 2. There is a bit of a tolerance issue with the real KRISS Vector housing. 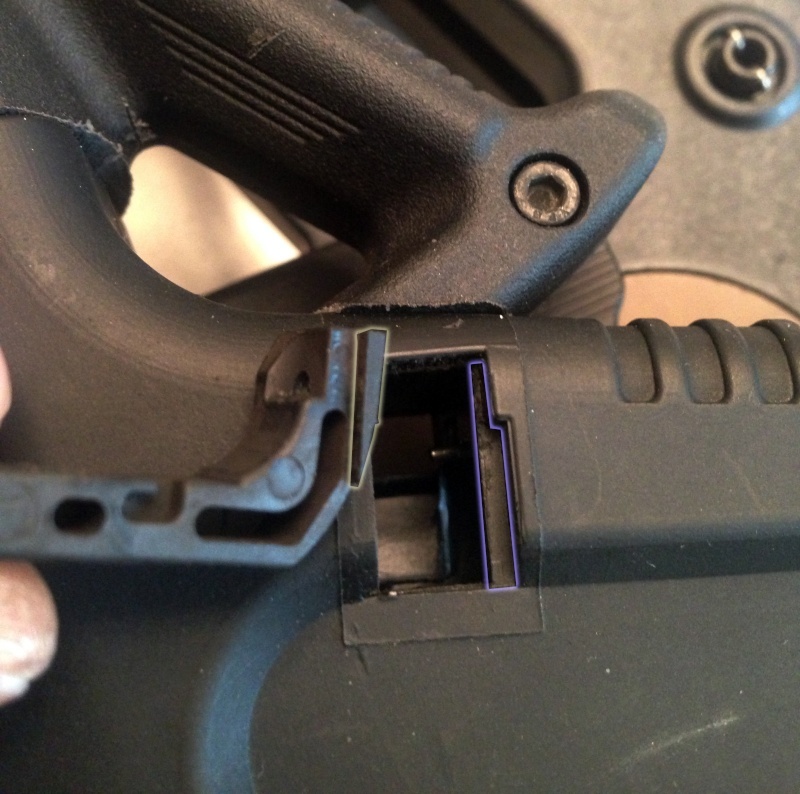 So I recommend testing the fit and if it gets stuck, file the top and bottom of the channel that the mag catch rubs against. 3. When tightening the captive plate, you may need to fine tune the top screw. If you tighten it too much, it may bind the release lever and make it malfunction. So test it. Tighten or loosen incrementally with tests of the lever to get the sweet spot. I am uploading the live fire test and it is positive. Aside from a couple malfunctions, it was great. Will post in here when it goes live. Awesome videos, awesome commentary. The link below shows that they are sold out now, which makes me sad and happy. Sometimes I get impatient, but I have to keep telling myself to wait for Solscud's engraved ones. Can't wait to get one and hit the range. Thanks again for the videos. Thanks for all the testing and information! I actually just ordered one, it was 39.00 with shipping, coming from Tokyo. kanewtervalve wrote: I actually just ordered one, it was 39.00 with shipping, coming from Tokyo. I'm not that impatient... but I would like one! I've ordered stuff before on Amazon and didn't find out until later it was coming from Japan, it only takes a couple of weeks, it was amazing how many stores over there were sold out of this Ace 1 mag release. Any news on a possible group buy? Also, kanewtervalve, could you possibly post other links where you found this for sale? Or anyone else who's found them for that matter. Might as well help out from the beginning as it looks like this item is going to be in high demand regardless. No use making people who dont want a KRISSTALK version suffer needlessly. Yeah, Boom Arms is the only place I've been able to find that's actually currently selling this "in stock." However the reviews I've read of them didn't sound too favorable. I want it bad, but I'm iffy on them. Anyone here have 1st hand experience with Boom Arms? Appletz from USN, Bladeforums, etc. Or you can hold out for a little and wait for me to get them. I'm willing to do that I have my PayPal hand ready! I just got mine in the mail today, 6 days total wait, better than most vendors in the US, they provided me with a tracking number from the beginning. Haven't opened it yet but it is the real Ace 1 Arms product, very well made I must say. Any chance we could get the other couple people who said that they have received them to get some pictures up? I'm interested to see if the same problems Solscud had are universal. I got a few minutes today to mess with it, it does fit and will work, but as Solscud has experienced, it is a snug fit. Watch the video that Solscud has made for installation and use a file like he shows in it. I have not had a chance to do further work but I do have the small files that will be needed. Just go slow and go easy and test fit frequently and you should have no problem. Update: Ok, it's in and works well, make sure you have a good set of metric allen wrenches, small file and something to pop out the spring that holds the mag release in place(I used a steel dental pick). The problem was exactly where Solscud shows in his video/pics that needs filing. I also recommend blue locktite once everything is working and in place, the one screw (as Solscud pointed out) needs to be backed off a little but if locktite is used it won't go anywhere once it dries. Thanks for the update. I was wondering, is it possible to use a washer or spacer on that problem screw to keep it the correct distance out? I know loctite will probably work, but it seems that getting it cinched down with a lock washer AND loctite would be preferable. Don't tell solscud, but I went ahead and ordered one the other night. LOL I just couldn't wait, sorry. I'll try to get out the camera when it gets here and see what's what. Most likely I will try to file on the part rather than my gun. If it's a $40 part vs. a $1600 gun, I think I'd rather mess up the lever. That's just me. There are a few hardware stores around here that sell small washers and spacers, or I could always ask my gunsmith to scrounge something up. Anyway, hopefully it will be here this coming week and I'll give an update.